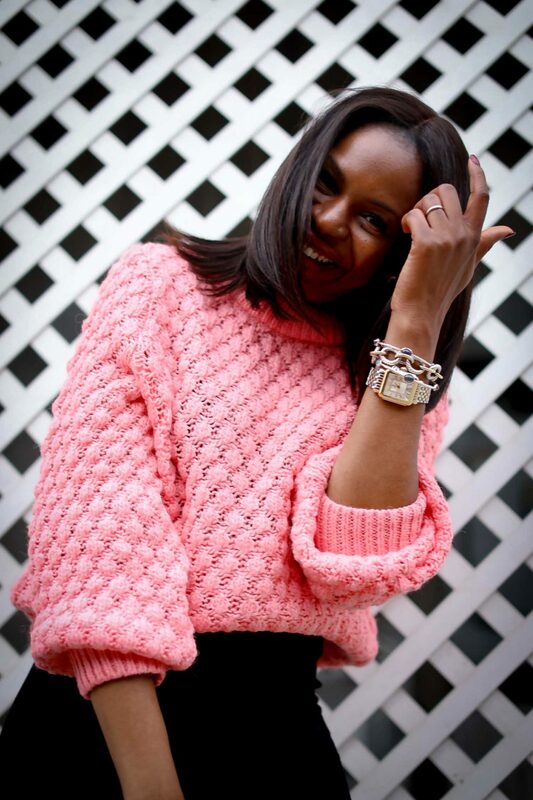 pink chunky sweater and how to make this color winter appropriate. I have worn a lot of color this winter. Grey, blue, green, burgundy are all colors that I have found myself falling in love with. Although I have mostly showcased these colors, I’m truly a pink girl. I have definitely cheated on pink this season, and that is only because pink is traditionally a spring/summer color, hence I instinctively gravitate to more muted colors in the winter. Today’s post showcases how you can make this bright vibrant color work now. 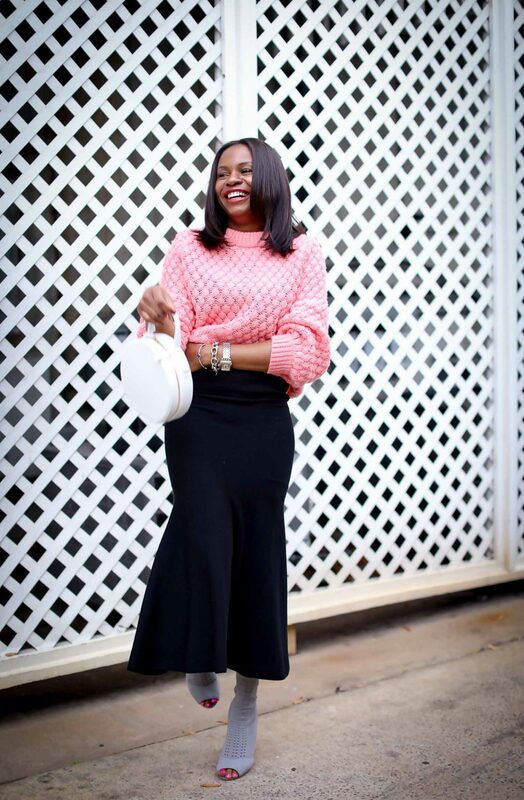 The key to wearing pink in the winter, and looking season appropriate is to pair the color with other traditional winter colors. 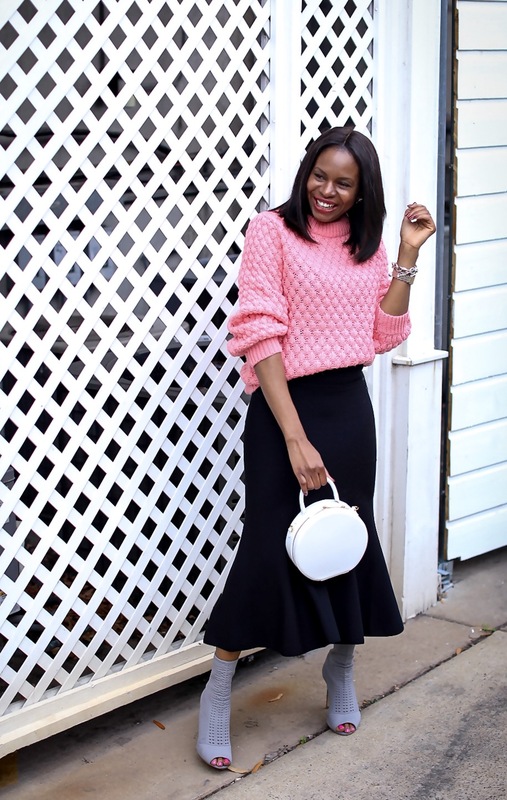 I paired my outfit with a black knit skirt and grey booties to give the look a winter vibe. The pairing works perfectly. 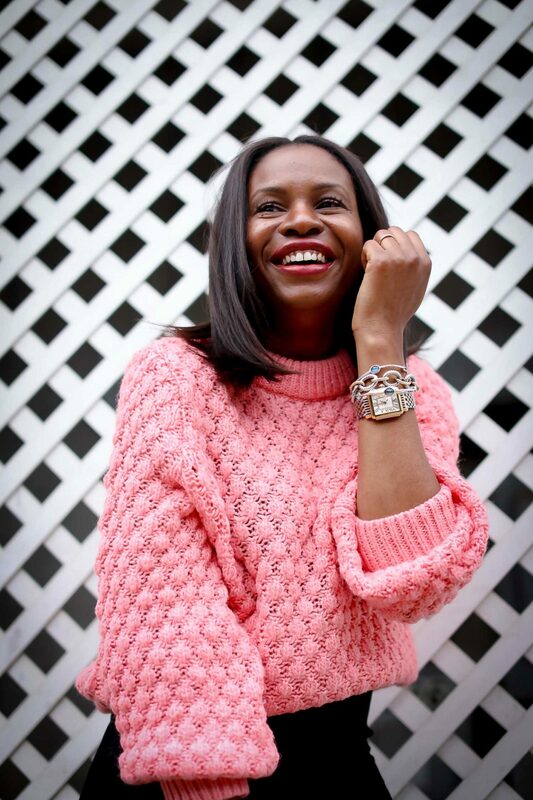 To balance the bright pink chunky knit, I introduced my white bag to the outfit, completing the look.